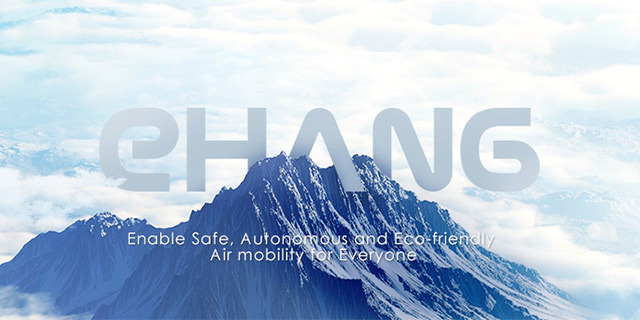 Founded in 2014 in Guangzhou, China, EHANG is an intelligent aerial vehicles technology & service company. Driven by its continuous technology and product innovation, “smart + connected” creative thinking, and the service philosophy of “User experiences first and foremost”, EHANG is providing both consumer-level and commercial-end customers with simple, smart, safe and high-efficient aerial products and solutions, including EHANG184 Autonomous Aerial Vehicle, UAV Command & Control Center, EHANG Egret Autonomous Formation Flight, EHANG Falcon commercial drones and GHOSTDRONE consumer drones. Fully and firmly dedicated to realizing the mission of “Let Humankind Fly Freely Like a Bird”, EHANG has become a pioneer and leading advocate of the global civilian drone industry in practicing multiple innovative ideas including smart software-based control, integrated experience of smartphone-tilting remote control and VR goggles, fully-automated drone swarm formation flight, autonomous self-driving passenger drones and 3D aerial transport, etc., and has thus been awarded as one of “the Most Innovative Companies 2016” by Fast Company.